Gael Rimma of Wargal, code-named Bolt , controls electrical fields and can generate electrical charges. Confident and outgoing, Gael comes to Earth in search of her missing brother. Royd Kar of Taarla, code-named Coulomb , controls magnetic fields and forces. Shy but affable, Royd is fleeing the desolation of his economically-depressed world, hoping to find a job through which he can support his family back home. Iris Krall of Ceres, code-named Mentaxa , is a powerful telepath. Her cold, aloof exterior, a defense against the constant intrusion of others' thoughts, hides an inner insecurity. Thrown together by chance, the kids use their remarkable abilities to foil an assassination attempt against Colleen Artveldt, the galaxy's richest person. In response, Artveldt announces that she wants them to be founding members of a new organization, a corps of similarly-talented youths to be called the PsiScouts. Don Sakers started reading Legion of Super-Heroes comics in 1966 with "The Evil Hand of the Luck Lords" (yes, he still has the comic). Since then, he's amassed a collection of all LSH appearances that, thanks to the generosity of Dwayne J. Best, is finally complete. 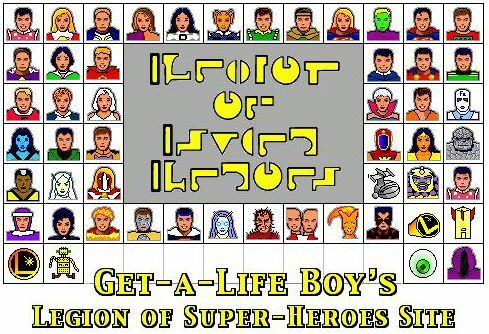 In LSH fan circles, Don is known as "Get-a-Life Boy," and his super-power is the ability to spend untold hours cataloging the Legion. It's big, it's comprehensive, it's got graphics. For every Legion story, it gives title, date, comic, roll call, and L-number. There are more than you think, and new ones are constantly popping up. Did someone say the Multiverse is back? Honey, the Multiverse never went away! What if the Levitz run had continued for five more years? "What's that, Streaky? Proty's in trouble?" Not, not the Galactic Guardians, and not Amalgam. Take a look. 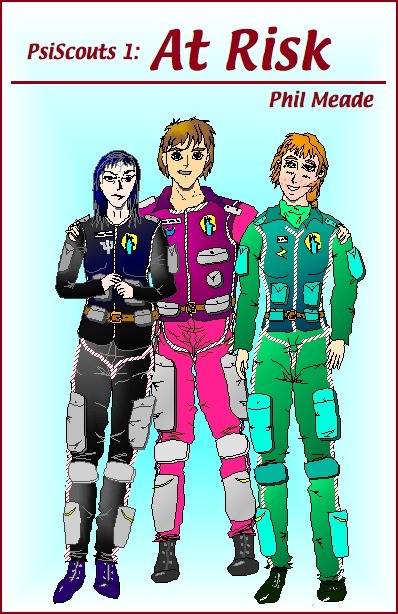 In forty years, you go through a lot of spaceship designs . . . .
Want those cool Legion icons on the top of this page? Well, they are just a click away. Download the Legion icons for the Mac. The Legion of Super-Resources, the most complete guide to the LSH in cyberspace.